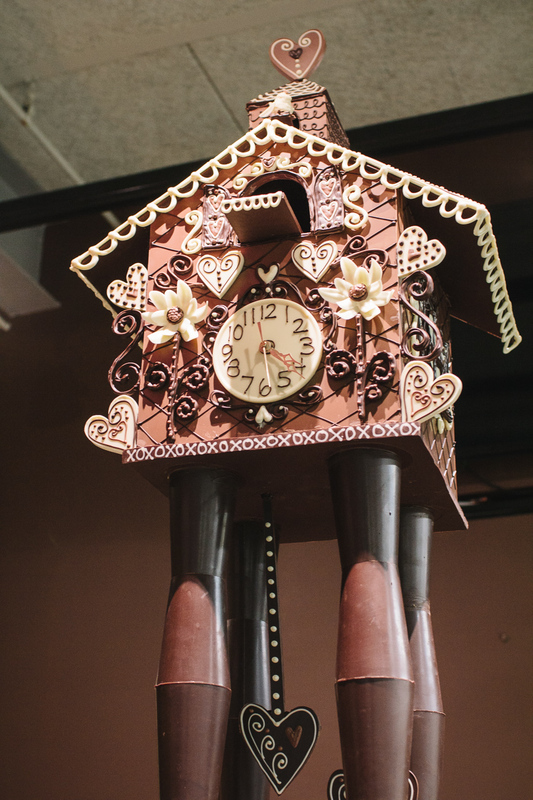 A 5-foot tall, 65 lbs chocolate cuckoo clock that Emily created for the Food Network special "Outrageous Chocolate." As seen on the "Outrageous Chocolate" special on Food Network! This 5-foot tall, 65+ lbs sculpture is my largest build to date. The sculpture has an actual functioning clock that tells better time than my watch! 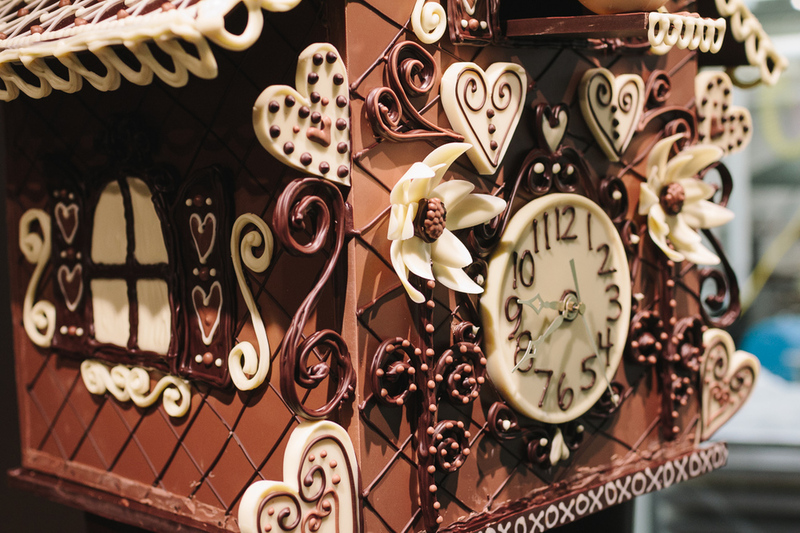 Being invited to have a chocolate sculpture featured on Food Network is a dream come true! Thanks to my wonderful company Lake Champlain Chocolates and my friends and family for believing in me! Also thanks to Food Network for this wonderful honor!